Your invitation to preserve history! The Rockhill Trolley Museum is an educational, all volunteer organization dedicated to the preservation of the electric trolley car. Starting with a single trolley car from Johnstown in 1960, the collection now has 22 trolleys. Volunteers are responsible for all development and maintenance of the museum. Here is your chance to take part! We have members from many different professions. This includes schoolteachers, ministers, mechanics, nurses, clerks, shop workers, jewelers and retirees. All of our members, men and women, volunteer their time to help preserve these old trolleys so current and future generation can learn about America’s trolley era. An annual Pass to ride the trolleys at the museum. Invitations to work sessions at the museum site. Perhaps you have a special skill that would help the museum with a project. Opportunity to learn how to operate a real electric trolley car. Invitation to our special Members Day. Invitations to special trips and tours of transit facilities and other museums. A 10% discount on all Museum Store purchases. A special feeling that you can only get as a volunteer. Associate Member: Must be at least 14 years of age. Applicants under 18 years of age must have parental approval and supervision while at the museum site. Associate members receive a Pass to ride the trolleys free, the museum’s newsletter “The Retriever”, and invitations to special programs, trips and picnics. You may also participate in the museum’s trackwork, car restoration, groundskeeping, museum store and other activities. Sustaining Membership: Must be at least 18 years of age. Membership includes all the features of an Associate membership plus the opportunity to learn to operate trolleys. Family membership: Family memberships allow the holder to ride regularly scheduled trolleys on the demonstration railway and participate in museum activities. Application must include at least one Sustaining or Associate membership in order to receive Family memberships. Members are encouraged, but not required, to participate in museum activities. 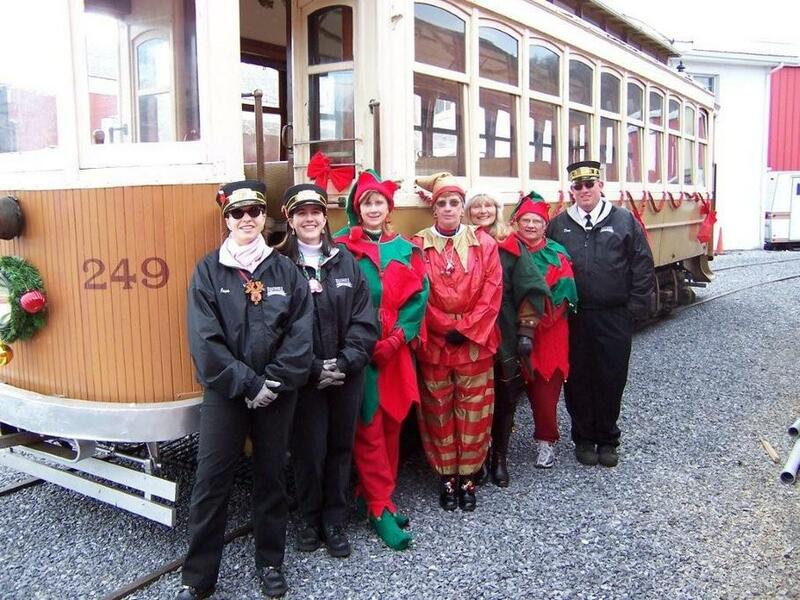 There are countless volunteer opportunities for anyone wishing to participate at the Rockhill Trolley Museum.